The New York Mets already have their fifth starter, an his name is not Noah Syndergaard. As much as my fellow Mets fans would like to see Syndergaard at Citi Field in April, he will not be there until at least june. It will be the same song and dance that Harvey and Wheeler went through where the Mets will have him pitch in the minors, get ready, and ultimately come up by midseason. 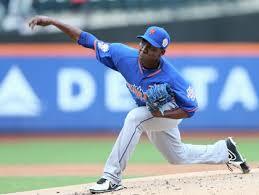 However, the Mets do have a young arm that is ready to make an impact in the rotation by April, Rafael Montero. Enough with the competition! If Daisuke Matsuzaka or John Lannan are the fifth starter by opening day the Mets are making a huge mistake. They are both done. Instead, the Metropolitans should develop one of their top prospects who has been great this spring. While some may argue the Jenrry Mejia is a better option, and while I really like Mejia, he is coming off a major injury last year and its better if the Mets just take it slow. Mejia needs to build up his arm again and making a few Triple A starts to regain his confidence and stamina would be ideal before heading north with the big club. As for Montero, he is ready. While he may not have the top of the line stuff compared to Syndergaard, Montero has the potential to be a great middle of the rotation starter. While his fastball sits in the low 90s, it has very good life and he locates it very well. His off speed arsenal is above average and he can mix and locate all of his pitches extremely well. However, the reason I really love Montero as a player is that he just has a good feel for pitching. Watching Montero in the Futures game at Citi Field game last year, he reminded me of another pitcher the Mets once had, Pedro Martinez. When he was a Met, Martinez did not have the overpowering fastball he once did, but was effective because of location and mixing his pitching well. With his small frame and ability to mix, Montero reminds me of Pedro Martinez later in his career. He might not blow it by hitters, but he can fool batters by keeping them off-balance by mixing his pitches in all counts. With his impressive spring so far, the Mets should look at Montero’s 2013 campaign and realize he is ready for the majors. In 2013 between Double A and Triple A Montero had a 12-7 record, 1.10 WHIP, 2.78 ERA, and 150 strikeouts in 27 games. He might not be the top of rotation prospect the Mets have grown accustomed to in the past three seasons, but Montero is a work horse that would solidify the back end of the rotation. 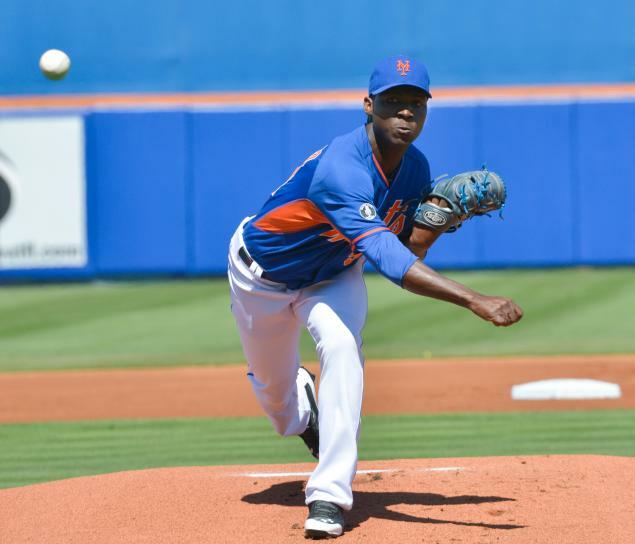 If he continues to pitch well in Port St. Lucie, there is no reason why Rafael Montero shouldn’t be in Queens coming opening day.